The Legend of Zelda is quite a long-lived series, an institution of quality that Nintendo has always been able to hang its hat on. Throughout its years of success, the Zelda series has sparked other game companies to build their own brand on exciting fantasy adventure games. The results of these endeavors frequently varied, but The Legend of Zelda has always been the example of which to emulate. In fact, back in 2000, Sony wanted a property to rival the Nintendo 64’s success with Ocarina of Time and Majora’s Mask. The answer that Sony came up with was a little title called Dark Cloud. Another similarity often pointed out between Zelda and Dark Cloud — a common observation among players first picking up the games, in fact — comes with the design of their main protagonists. Link, the hero of Hyrule, is clad in green, wields a sword, has pointed ears, and is silent; Toan, the hero of Norune Village, dons his own green cap, wields various swords, has pointed ears as well, and is just as much a silent protagonist. An untrained eye might even confuse the two. 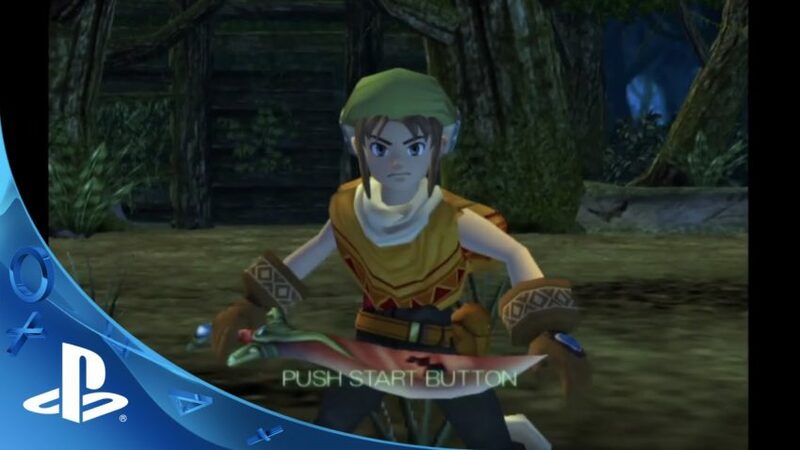 But for all the comparisons between Dark Cloud and Zelda, was Level-5’s PlayStation 2 title always intended to be an answer to Ocarina of Time and Nintendo? As far as we know, the developers at Level-5 have never revealed whether or not this imitation was their main goal. In an interview with Rolling Stone, Level-5 CEO Akihiro Hino stated that the team simply wanted to make an original fantasy story. Rather than crafting a title that could rival Zelda, it is more likely that Level-5 just wanted to make Dark Cloud as part of a larger fantasy canon — one that Zelda resides in — with an archetypal hero, like Link, that players could easily relate to as they began playing through the fantastic tale. As one learns from its storybook opening, Dark Cloud does diverge quite a lot from The Legend of Zelda in its presentation, as a narrator begins to tell the tale of Toan, a descendant of a legendary swordman sage’s line. This storybook approach acquaints the player with the game’s setting and characters fairly quickly, presenting the world in a more fantasy-driven way. The player is then treated to a very intense opening cutscene that in some way mimics the opening of Ocarina of Time, but with a noticeably darker tone. A great evil known as the Dark Genie is shown approaching the world, and, out of nowhere, Toan’s childhood town is obliterated in a matter of moments. After trying to save his childhood friend, Toan finds himself transported to a mystical realm where a Fairy King gifts him the power of the Atlamilla, the only hope against the evil that threaten his world. 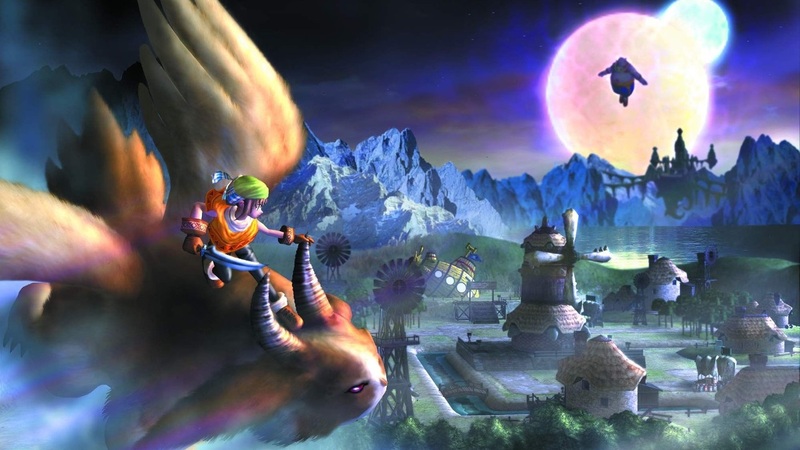 The presentation of Dark Cloud, through its storybook framing and intense themes, shows how the game is willing to take risks with its narrative, perhaps moreso than Ocarina of Time. From there, Toan, much like the Hero of Time, is thrust from his usual life into a larger world. His quest takes him from his home to various locales around the land, as he tries to restore what the Dark Genie took away. The world literally becomes something of a sandbox that the player must rebuild and develop. Toan even gathers allies — which are playable — along the way. These gameplay elements prove quite different from what players see in the Zelda series, and they prove some of the originality that Level-5 was going for. As the player progresses, Toan learns more about the Dark Genie’s motives, which is fairly reminiscent of Ganondorf — wanting power for the sake of having power. However, there comes a twist in the story that literally takes Toan and his party 400 years back in time to discover the evil’s truth and stop it at its birth. In this way, the story of Dark Cloud‘s takes players to unexpected places. The music of Dark Cloud is instrumental and lively, invoking many of the same feelings felt when traversing across Hyrule. 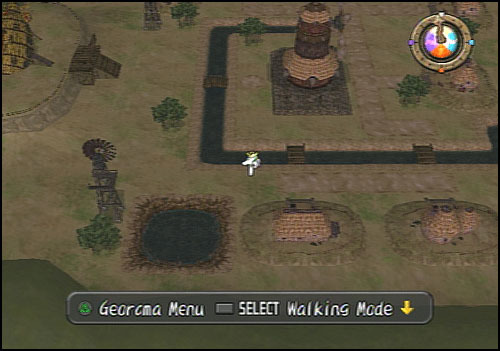 The theme tunes really help to cement each location that Toan visits as its own unique culture, a quality that is heavily present in Ocarina of Time and Majora’s Mask as well. Meanwhile, the game’s art style of Dark Cloud, while similar to Ocarina of Time at first glance, seems to be trying to be as realistic as possible, which suits the darker and more bleak themes of the game. 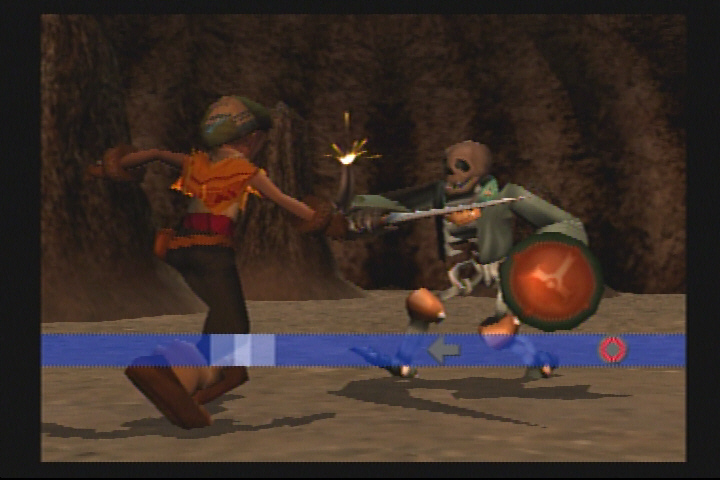 Outside of these aspects, the gameplay of Dark Cloud seems to have been heavily inspired by Ocarina of Time, with its real-time based combat and lock-on mechanics. Obviously, while the team at Level 5 wanted to present the world of Dark Cloud in its own original way, it could couldn’t resist borrowing a few ideas from Ocarina‘s innovative gameplay. Still, the developers did strive to give their Dark Cloud‘s gameplay its own identity. They included plenty of collectibles in each multi-floored dungeon, including multiple weapons and “Alta,” which are pieces of the world that Toan must find to rebuild his broken world. Level-5 also included timed events known as duels, which are fun to encounter and offer a way for the players to engage differently with the game. And as for the puzzle solving in Dark Cloud, puzzles are not encountered in dungeons themselves as much as they are encountered in the overworld, where the player has to figure out how to put everything back just the way it was. From the overall story and feel of the game, it is clear that Dark Cloud wanted to give its players a grand adventure that could be enjoyed over and over again. Though it is pretty clear that the game sparks a sense of familiarity for Zelda fans — especially if one were compare Dark Cloud, Dark Cloud 2, and Zelda to one another — I think that Level 5 succeeded in their goals and built an original fantasy tale that can stand on its own. Despite the similarities that the game has with The Legend of Zelda that reviewers point to, Dark Cloud definitely has its own unique feeling and story. Dark Cloud is an accomplished fantasy adventure. But, what are your thoughts? Let us know down in the comments!